Like the tobacco industry, the beer industry is one that will likely always thrive. From our earliest beginnings, people have found comfort and joy in drinking a daily or weekly dose of their favorite beer, lager, ale, stout, or belgian white. Walking into almost any mainstream grocery store (and most local markets) will reveal a diverse selection of beer to choose from. The brands and types seem endless. But while the flavors and names may provide the illusion of many hundreds of independently owned and operated companies, that’s simply not the reality. Sure, there are a number of budding independent operations, but most of the beer in the world is controlled by one of two companies: SABMiller or Anheuser-Busch InBev. SABMiller is the world’s second largest global brewer, its name having been derived from the merging of Miller and South African Breweries. Later the company would purchase the South American brand, Bavaria, which was then owned by the Santo Domingo Group. 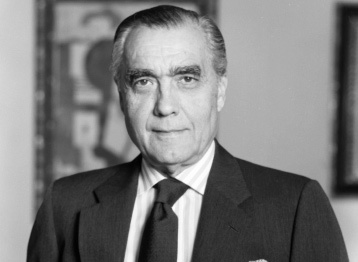 Julio Mario Santo Domingo was the head of the Santo Domingo Group until his death in 2011, when his son Alejandro took over the role. The merger gave the company a 15% stake in SABMiller, making the Santo Domingo Goup the second largest shareholder after Altria (28.7%). Brands encompassed in SABMiller include Fosters, Grolsch, Miller Genuine Draft, Peroni Nastro Azzurro and Pilsner Urquell. The largest global brewer in the world is Anheuser-Busch InBev. The company controls breweries like Budweiser, Corona, Stella Artois, Beck’s and Brahma, as well as many smaller global and regional brands. Nearly half of its annual sales (45%) come from the United States. AB InBev is a story of consolidation, mergers, and acquisitions. Both AB InBev and SABMiller have kept up with the growing global beer market by trying to purchase as many smaller organizations as possible. In the past few years, the largest beer companies have spent around $195 billion on such purchases. Now the two alone own more than 200 brands in 42 countries. The two biggest beer companies alone control over 200 brands of beer in 42 countries.